Pulum, as it is pronounced in the local dialect means lots of water, and indeed Palampur has an intricate network of streams and brooks, true to its name. 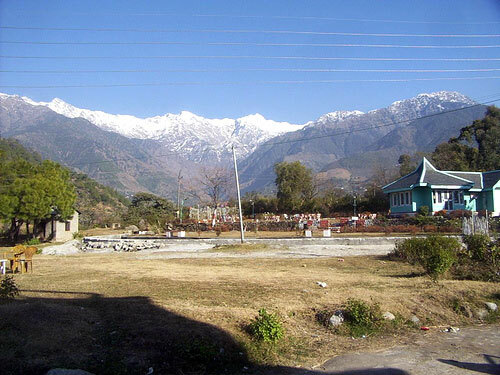 Palampur is a clean town with laid out tea gardens and lush green terraces, pine forests and the snow clad peaks, offering a stupendous view of the nature.<br />Trigarta of the ancient days, Palampur was the part of the Jalandhar Kingdom and came under British rule later. It became famous only when Dr. Jameson, Superintendent Botanical Gardens, North-West Frontier Province introduced a tea bush from Almora in 1849. 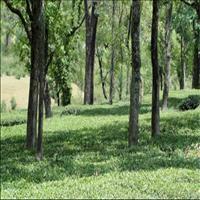 Cultivation of tea Gardens and putting up tea factories since then has become a thriving business of the town. 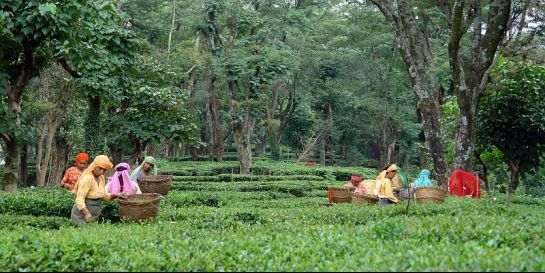 <br />Palampur today is not only famous for its internationally acclaimed tea plantations but also for its pleasant climate and the colonial architecture that it has retained. The long calm and clean walks, the crisp air and the indo-Gothic architecture of the buildings in the town takes one to any European township. 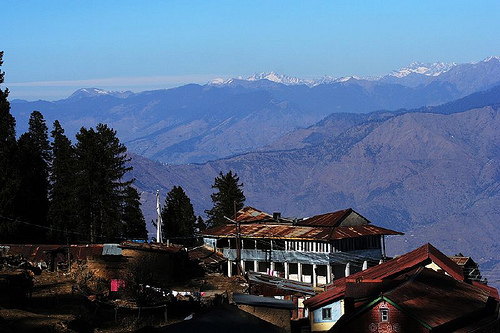 Set amidst the laps of the hills of the Dhauladhar range, is situated the neat and clean town of Palampur. 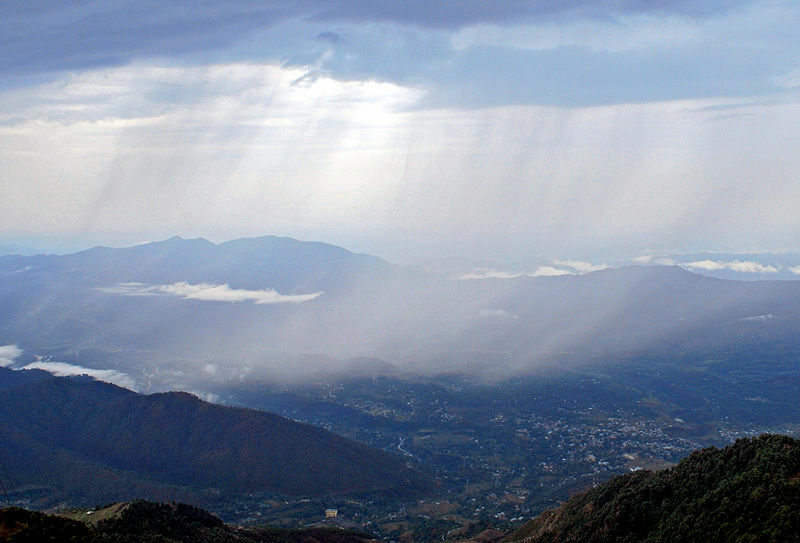 Located at an altitude of 1219 meters Palampur is on the Kangra - Kullu road, 52 kms from Dharamshala. 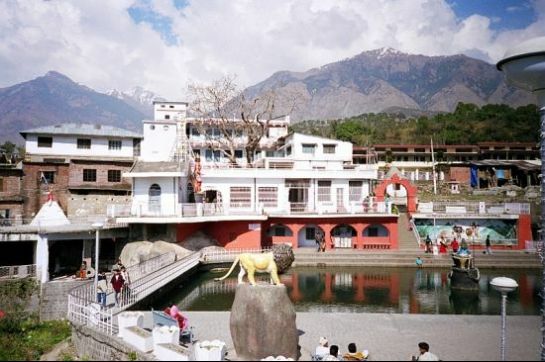 Situated in the thick hills and sprawling plains of the Kangra vale near the township of Palampur is the small village of Andretta, famous for its various art activities and workshops it conducts. 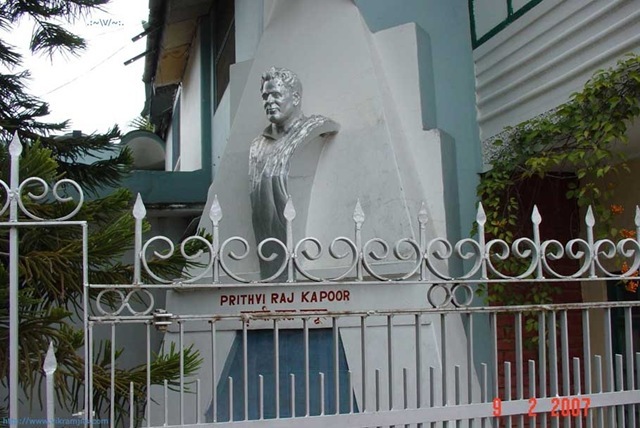 It used to be the residence of famous painter Sardar Sobha Singh and playwright Ms. Norah Richards. 42 kms from Palampur on the banks of the Beas River is the Sujanpur Tira, palace of Sujanpur. 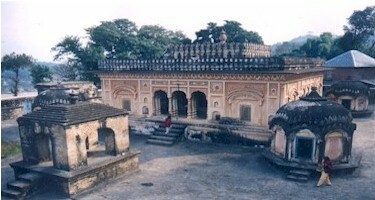 It was built by King Sansar Chand of the Katcoch rulers. 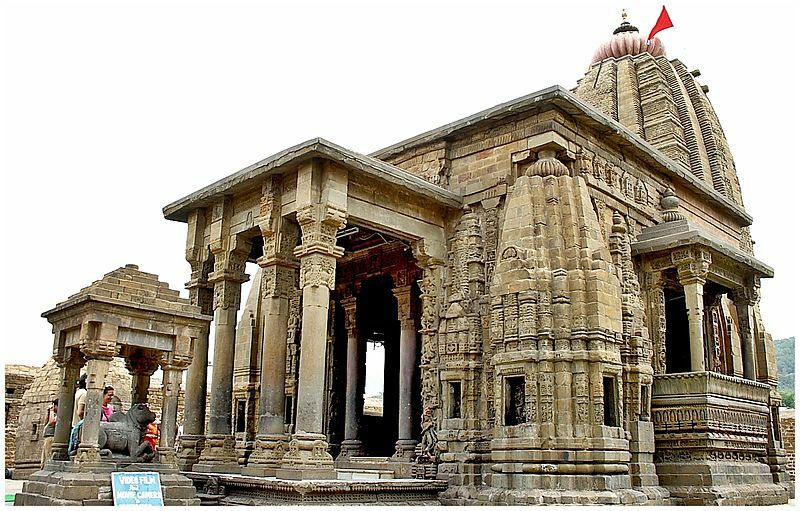 It is worth a visit and also the Narmadeshwar temple nearby is exquisite in its interiors and works. When Chanda and Munda, two brother demons played havoc, it was Goddess Durga who was assigned with the task to slaughtering them. Browsing her eyebrows, the Goddess gave birth to another form of Hers, the Kali. It was eventually Kali who slayed the two demons and since then the Goddess is also called by the name of Chamunda. 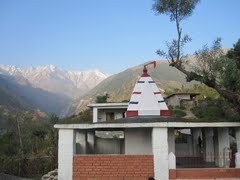 This ancient temple, nearly 25 kms from Palampur, is dedicated to Goddess Chamunda. Nearly 37 kms form the town of Palampur is a small township built after the name of the King of Mandi, Joginder Singh. In 1925 the enterprising King created an elaborate Hydel Power scheme near the village of Sukrahatti. Much later a power house was also built and since then the place has become of importance in Himachal Pradesh. The Bassi power house has also become an excursion point. Bir which is 16km from Joginder Nagar is a Tibetan settlement with a beautiful monastery. 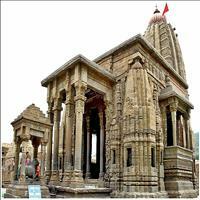 One of the 12 Jyotirlingams of India, this temple dedicated to Lord Shiva is an ancient temple built in 804 A.D. 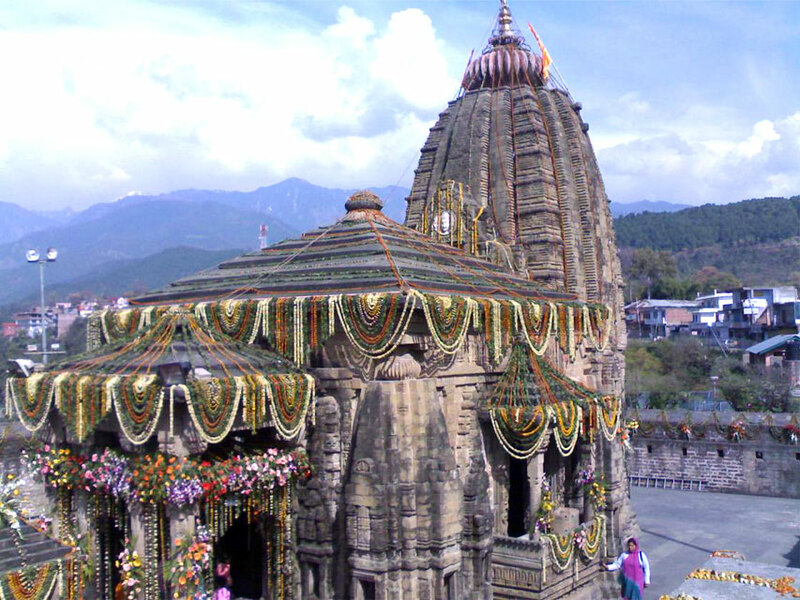 It was dedicated to Lord Vaidyanath meaning the lord of medicine, a form of Shiva which became Baijnath. Hardly 16kms from the town of Palampur this village commands a beautiful view of the snow capped peaks and the deep valleys. A two km walk through the pleasant tea gardens takes one to the ancient temple of Bundla Mata which is believed to be built five centuries ago. Close to the temple is Neugal Khad, a 300 meter wide chasm and is supposed to be the origin off the Bundla stream. Beyond which the Dhauladhar Mountains come up suddenly and provide a wonderful view. 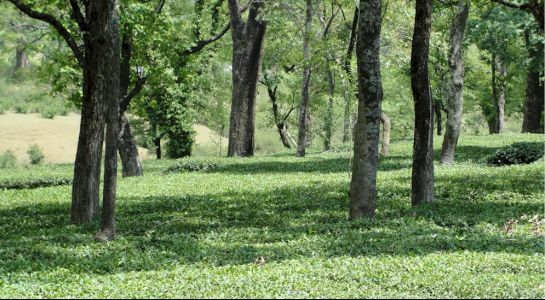 As one enters Palampur he witnesses, the beautifully laid out lush green tea gardens and women plucking the tea leaves and filling up their cane baskets. This is the very first step in making of the famous Kangra tea. The green gardens and the ladies who are very quick at work is a mesmerizing sight. 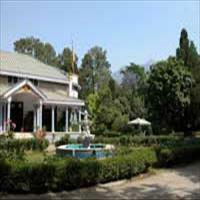 Few kilometers from the city of Palampur stands the regal and royal mansion of the rulers of Jammu and Kashmir, the Al Hilal Palace. Now converted in to a hotel, this place was built by Maharaja Ranjit Singh during his conquests of Kangra. It was meant for being his summer palace. Surrounded by beautiful natural décor this place is a must visit. The Himalayas have attracted the adventurous and the travel passionate for years. Himalayas offers one of the most enriching travel experiences for the travelers. The place has snowcapped mountains, thrilling adventurous treks, wonderful natural scenes and fresh mountain treks for the nature lovers. The rich Himalayan culture and the welcoming nature of the people makes the trip all the more exciting and thrilling.